Before going into some symbolism that can be found in the above, let us first understand something about how the ancients viewed the night sky. All together there are 48 constellations that were accepted in ancient times. It is through these 48 that all the forces of nature were perceived to be flowing from the metaphysical realm into the physical. (See Ibn Ezra Shemos 33:21) Of these 48 there are 12 constellations that are considered to be the primary ones and these are the constellations of the zodiac. These twelve represent the main forces of nature. (Baraisa D'Mazalos 1) The other 36 are important, but considered somewhat subservient to these twelve. Chazal compare the 12 Shevatim to the 12 constellations of the zodiac. (See Pesikta Zutrasa Shemos 1:2 as an example) Just like the metaphysical word actualizes into the physical world through the 12 zodiacal constellations, so too, the Shevatim bring forth the metaphysical realities into this physical world. However, that leaves one to question, who are the representatives of the lower 36 constellations? Fascinatingly, we see that when Yaakov died it was as if all the forces of nature came to honor him at his funeral procession. The twelve signs of the zodiac were the primary ones and they were displayed by his twelve sons who were carrying the casket. The other thirty-six constellations were shown by the established kingdoms that sprouted forth of Avraham's descendants. It was a monumental event that had all of nature mourning its loss! Due to this construct, often one sees similarities between the world of the mazalos and that of the angels. In this case it seems pretty clear. After dawn, the stars that are supposed to be out at night during that time of the year are present. After dawn they go away one by one as the powerful light of the sun drowns out their light. In the case with Yaakov, this angel was clearly supposed to be out at night during that time. However, as soon as dawn broke, it was clear that just like the star that represented him would be fading away, so too, he needed to be released to go back to the heavenly realm. "[He] Who sanctifies Yisrael and the seasons." Many have questioned why we mention the seasons in this blessing and the famous answer is that it is Yisrael that sanctifies the seasons. Without a Beis Din, the calendar does not take effect and without the calendar there cannot be Yomim Tovim. Therefore, unlike Shabbos which will be sanctified regardless of the actions of the Jewish nation, the Yomim Tovim's sanctification is only as a result of Yisrael. Hence we mention the sanctification of Yisrael first, as if to say that they are sanctified and then they can make holy the holidays. Although one could still state that the above is the reason that Yisrael is mentioned first, it seems that Rabbeinu Bachye offers a different explanation of this wording. In this week's parsha we are informed that we must have Pesach in the season of spring (אביב). (Devarim 16:1) Rabbeinu Bachye mentions that our holidays are all time sensitive. Pesach must be in the spring at the time of the barley harvest. The word אביב, says Rabbeinu Bachye, literally means the sheath, which is the component of wheat that produces the kernels. Spring is called by this name because it is the time when this growth is being realized. Shavuos must be during the wheat harvest and Sukkos must be during the gathering season. As most people know, most of our holidays occur at different seasonal periods throughout the year. Pesach and Sukkos are a the first full moon after the equinoxes. Rosh Hashana is on or around the autumnal equinox and Chanukah, when we light candles/oil is around the winter solstice when the days are getting longer. Tu B'Av seems to be no exception and, in fact, seems to mirror Tu B'Shvat. There are two moderate seasons, spring and fall, and two extreme ones, summer and winter. The summer months are Tammuz, Av and Elul and the winter ones are Teves, Shvat, Adar. The first of each month has the solstice which is when the days either are at their longest, summer, or shortest, winter. The second month of the extreme month marks the halfway point of the season, more specifically the middle of the month meaning the 15. "כי היא חכמתכם ובינכם לעיני העמים"
The Gemara understands that this is specifically referring to astronomical and (according to Rashi) astrological knowledge. The predictions of the celestial orbits and movements (and according to Rashi) and predicting future events is something that is able to be tested thus making this the wisdom that is the glory of the nation. (Shabbos 75a) I find it interesting that this knowledge of the sky is only mentioned in this parsha within the context of Moshe Rabbeinu preparing Klal Yisrael to enter into the land of Yisrael. Also interesting is that later in the parsha we are taught that we need to be careful lest we look upwards and begin to serve the sun, stars, etc. (see Devarim 4:19) Why is it only now that Moshe was nervous, why not 40 years earlier when we left Egypt? To state that he was nervous because we would be living amongst nations that served these objects seems to be difficult from the pasuk itself. The pasuk mentions that we would be swayed after seeing the celestial objects and not the fact that we would be living amongst idolators. Rabbeinu Chananel maintains that for the duration of Klal Yisrael's existence in the Wilderness they were unable to see the sky. During the daytime the clouds of glory obscured their vision and the fiery pillars did the same at night. (see Rabbeinu Bachye Shemos 12:2) Therefore, perhaps it was only now that this nation was to enter Eretz Yisrael and finally see the night sky that they would be able to utilize their mastery of the celestial objects for astronomy and astrology. It was only at this time that Moshe Rabbeinu felt it fit to discuss this wisdom and understanding. In addition, now that they could delve into these studies with the visual tools in addition to the mathematical calculations, they would, perhaps, become enamored by the sky and fall prey to their evil inclination and begin to serve these items. Therefore, Moshe needed to warn them of this tendency. For until this point, when they would look up they could not see these items, they only saw the glory of Hashem. In this week's Parsha we are taught about the 42 travels of Klal Yisrael as they followed Hashem in the Wilderness. Interestingly enough, if one discounts the starting location, Rameses, and counts the seven travels that were repeated (not mentioned directly in the Parsha, but mentioned by Rashi Bamidbar 21:4) then he will have a total of 48. This is interesting because most Rishonim are of the opinion that the minimum amount of lines in a Sefer Torah is 48, but some maintain it is 42. Both opinions are predicated on the number of travels of Klal Yisrael. (Keses HaSofer 13:3 and Lishkas HaSofer 13:6) Essentially what also can be gleaned from this discussion is that one can calssify the travels into 48 total with 7 being a subcategory. This confluence of 48 and 7 happens many times throughout the Torah (often with a perceptible 42). The Levi'im were given a total of 48 cities in Eretz Yisrael, of which 42 were regular and the rest were designated cities of refuge. There were also 7 main Levite positions in the Beis HaMikdash. Once again, 48, 7 and an idea of 42. There were 48 male prophets and 7 female prophets whose prophecies are pertinent for all generations. (Megillah 14a) While I suspect there is some element of 42 that can be seen regarding this, unfortunately I do not know what it is. There is dispute as to who is included in this list and some Rishonim (i.e. Rashi) state that they only know of 46 and do not know who the other two are. Perhaps, if we were more aware, definitively, of the list, we would figure out a way to segment it into 42 and 48. Also, there are 48 constellations and 7 planets whose influence is considered to affect this world. (Ibn Ezra Shemos 33:21) Interesingly, the numerical value of the word for star, כוכב, is 48. When taking out the 3 northern polar constellations and the three southern (as they appear to be moving the celestial sphere) one has 42. As mentioned before, sometimes the seven can be divided into 5 and 2. In this case, the Sun and Moon are in a class of their own; Mercury, Venus, Mars, Jupiter and Saturn, the other planets, are not nearly as bright or large (from our perspective). I believe the common factor that all these items contain is that they are vehicles through which Hashem's glory is displayed. As such they all have similarities in number (why 48, 42 and 7 might be another post). Klal Yisrael's travel through the Wilderness, and subsequent (and current) exiles have been to express Hashem's glory unto the world. The Torah is the ultimate expression of Hashem's grandeur. The Levi'im help Klal Yisrael attain a relationship with Hashem in the Beis HaMikdash and by working the Mikdash they allow Hashem's kingship to be seen. The prophets directly bring forth the word of Hashem and instruct the people how to spread forth the glory of Hashem. The constellations were created in order to display Hashem's glory unto the world. (Braisa D'Mazalos) I do not find it coincidental that in order for a rainbow to shine (the Gemara in Berachos mentions that this is a display of Hashem's glory) the Sun must be hitting the droplets of water at a 42 degree angle. Although I do find it coincidental that the king, Elvis, died at age 42. The summer, the sun's glorious months, has been a time of destruction for the Jewish people. We just fasted the 17 of Tammuz and historically 9 Av has been a day to mourn the horrific calamities of our past. The summer is currently bittered by the tears of tragedy. Rav Aharon Feldman shlita recently pointed out that the month's of summer, July and August, are the only two that bear the names of Roman emperors. (Mussar given in NIRC 6/2310) The Romans, considered to be the descendants of Eisav, are the nemesis of the Yisrael. Their glory is displayed in the time of destruction. Perhaps, the Yerushalmi is telling us that normally Tammuz, and the summer, do not contain rainbows. Summer is not the time when Hashem's glory is naturally perceived. Nevertheless, through hard work and dedication, one can break through the veil that hides this glory and allow the glory to shine through. Zechariah HaNavi informs us that in the future these days of mourning will be transformed into festive days. (Zechariah 8:19) May we merit to those days very soon! Does the Torah give validity to the solar calendar? To answer this let us look at some interesting passages/theories. Summer started today on the solstice and this reminded me of a fantastic Midrash about this date. The Midrash states that this was the date that Moshe Rabbeinu hit the rock and brought forth water to the people. (Midrash found in the back of Machzor Vitri) The fantastic thing about this Midrash is that it then cites the pesukim from Shemos NOT BAMIDBAR thereby making it clear that it is not referring to the incident in Parshas Chukas for which Moshe was denied entry into Eretz Yisrael. Rather, it is referring to the incident that occurred shortly after the Exodus when Moshe was commanded to hit a rock to bring forth water. The huge question that one must ask when seeing this is, "How could this event have taken place on the first day of summer when the Torah places it after Bnai Yisrael arrived in Rephidim (15 Iyar) and prior to their encampment at Har Sinai (1 Sivan)?" The event seems to have occurred in the spring, yet this Midrash places it at the beginning of summer!!! The easiest answer is to assume that there is a scribal error in the Midrash and that it originally mentioned the incident from Parsha Chukas; over long periods of time the text was corrupted and contained errors. Although this is certainly possible, in order to assume that to be the case one has to realize that the scribe who erred switched entire verses to support his claim (I am not suggesting this is not possible, just that it justifies looking for alternative theories). While there are Rishonim (i.e. the Ramban) that do cite a Midrash with references to Parshas Chukas, it is possible that this reflects a different opinion (for the reason cited above). An alternative theory that I would like to suggest is that the Tannaim may have used the solar calendar to refer to dates (just like many Torah scholars would have referred to today as June 21 and not have thought to use the Hebrew date). In the most likely time of the writing of this Midrash (assuming it was written in the general time period that the Mishna was written) the date of the summer solstice, the date used by the Midrash, was June 22 (Julian). When looking back to the year of the Exodus that would coincide with 26 Iyar, although it in the time of the Exodus this was far from the solstice. 26 Iyar is an extremely plausible date for this event and it certainly falls between 15 Iyar and 1 Sivan. Perhaps, the Tanna was just stating that the event happened on June 22! Before you reject this idea just consider the following. It is clear from Rashi that some of the dates mentioned in Talmudic literature are actually referring to solar dates and not lunar ones. The Gemara mentions that the Patriarchs were born in Nisan. (Rosh Hashana 11a) It then proceeds to cite a verse regarding the date of the building of the first Beis HaMikdash being in the month of "Ziv". The Gemara explains that this month, Iyar, is called "Ziv" because it comes from the root word meaning to shine and the Patriarchs who shine light onto this world were born in this month. The contradiction is obvious, here the Gemara is stating the Patriarchs were born in Iyar and a few lines earlier it stated that they were born in Nisan. Rashi reconciles with two answers. The second answer is that sometimes the solar month of Nisan carries into the lunar Iyar (also see Tosefos R"H 2b). Meaning, April (Nisan) in the year the Patriarchs were born was partially in Iyar and, therefore, the Gemara can state that the Patriarchs were born in Iyar while at the same time state that they were born in Nisan. I have asked this question to many and haven't really found an answer that makes me stop wondering. Recently I thought that I was onto something when I received an answer in the mail from Rav Chaim Kanievsky shlita. He wrote, "סוף חשון הוא תשרי." This seems to be taking the opposite approach to the Bnai Yisaschar as this approach assumes that there was no delay and that since the inauguration happened at the end of Tishrei the pesukim refer to it as happening in Cheshvan. Initially I thought that Rav Kanievsky could have been referring to the same concept expressed by the Rashi above. Perhaps, the lunar Tishrei crept into the solar Cheshvan so the dedication occurred in both and both could used. However, when I did the math I realized that Tishrei did not creep into Cheshvan that year. Also, from the exact wording I don't think that is what Rav Kanievsky meant. Rather, it was close enough so the pasuk rounded it off. I would love to hear if anyone has any other suggestions to this question. Anyway, when all is said and done, it is clear that the Talmudic literature does give credence to solar dates (at least according to Rashi). This is a good maareh makom to use if you want to try and cash in on two birthdays since it seems that Chazal used both calendars (although the solar one in use was not identical to the one currently in use). If Shechakim is the place of manna production and the moon is in Rakiyah, why is it that in our blessing that references the growth of the moon that we praise Hashem for creating Shechakim? Shouldn't we be praising Him for creating Rakiyah (or at least using the generic Shamayim)? While this certainly sheds light on the text, some questions still remain. All seven terms of Reish Lakish, presumably, refer to the heavens mentioned by Rebbi Yehuda. Why does this text mention Shechakim which is not the common term? Also, why is it that Rebbi Yehuda's opinion is taken, from the way Reish Lakish is cited after his opinion one would think his opnion is the one that should be taken? I wonder if it is possible that Rebbi Yehuda and Reish Lakish were not arguing as to what actually exists, but Rebbi Yehuda was discussing that there are two Rakiyahs. Then Reish Lakish mentioned that there are seven heavens. Included in Reish Lakish's Rakiyah would be the TWO Rakiyahs of Rebbi Yehuda. This is not problematic as we know that the Rishonim subdivide the heaven in which the moon is placed (Rakiyah) into nine parts, one for each planet, one for the stars and one for the "wheel" that turns them all. This division is not mentioned by either opinion in this passage. Therefore, I would contend that all these sources may be in agreement, but are discussing different methods of classification. As such, perhaps, we mention Shechakim because that is the highest of the heavens that humans have interacted with. The first, Vilon, doesn't have much of a purpose. Rakiyah has the celestial objects that humans can see. Shechakim has manna for the righteous and we were able to eat that in the Wilderness. Next comes Zevul where there is a spiritual Beis HaMikdash in which the angel Michael brings sacrifices. This is something that humanity does not perceive directly. As one continues up the chain the heavens become less and less perceptible by humans. Maybe what we are stating in our blessing is the praise for the heavens that humans can offer perceive, it is only up to this point of creation that we can praise with some level of personal appreciation. The highest, Shechakim, is mentioned as if to say we can express our appreciation up to the heavens known as Shechakim. The Gemara teaches that the men of high stature that joined Korach's cult were so honorable that they even knew how to regulate the calendar. (Sanhedrin 110a) Our calendar follows a set of intricate rules that mesh the solar year with the lunar months. The outcome is a set of months based on the renewal of the moon that allows for the various holidays to occur in the appropriate seasons. While this is certainly considered to be one of the more difficult parts of halacha, one can ask why this was considered to be one of the defining features of these men. I would like to offer an approach, based on drush, to express what is possibly being stated. Korach is famous for his arguments that the people should lead themselves and that they have no need for Moshe and his rulership. (see Rashi Bamidbar 16:1) Korach argued that every individual had sufficient holiness and connection to Hashem and they, therefore, did not need Moshe to direct them. Rabbeinu Bachye discusses how Moshe went from Shevet to Shevet and told each one of them what they wanted to hear and why they shouldn't be subjugated under Moshe. Essentially, he was a man of the people and, although divisive in his battle against Moshe, he was a man who unites people. He was asking for a united government with equalty for all. He was arguing that Moshe was not a uniter, rather, he was surpressing the individual talents in order to keep order. Thus, Moshe was not, in his opinion, united the forces and qualities of all of Klal Yisrael. Korach felt that it was he that knew how to mesh all the elements together appropriately. Therefore, on the day of the standoff the sun and moon refused to come out. They recognized that it was not the time for the two to work in tandem, they knew that their forces must cease. If they were to be controlled by the Korach cult then they realized that they were not to be expressing Hashem's true glory. I would like to offer two suggestions that our founded on how to calculate when one's day begins. The first answer is suggested by Rabbeinu Bachye. He maintains that even though Jewish law usually recognizes night as preceding day, when it comes to sacrificial offerings the day comes first (regarding sacrifices, the portion placed on the Mizbeach is able to be burnt the night following the day in which the blood was sprinkled). Seeming to support this assumption is the fact that the Rashi that maintained that it was day eight focused on the time when Klal Yisrael sang and not when the Egyptians perished in the sea. They perished just before morning, (Shemos 14:27) but we did not sing until after daybreak. (Rashi Shemos 14:5) Unfortunately, Rabbeinu Bachye leaves hidden the reason why Tzitzis reflect the sacrificial offering system and the Torah portion read on Pesach reflects the regular system. Rashi mentions that Paroh sent a messenger with us when we left Egypt to make sure that we would return after three days. When we did not, Paroh came out with his armies and advanced towards our camp on days five and six. The night of the seventh day of our Exodus his battalions were drowned in the sea. (Rashi Shemos 14:5) In fact, this is the same Rashi that mentions the reason for reading this portion on the seventh of Pesach. The Sifri mentions that we left Egypt at midday. (Sifri Devarim 337) Rashi quotes from this Sifri elsewhere implying that he is of the same opinion. (See Rashi Bereishis 7:13) If Rashi agreed with the Meiri then Paroh sent his messenger with us right at the "beginning" of the first day which coincides with 15 Nisan in the Jewish calendar at midday (this is the day after the Korbon Pesach and the first day of our holiday of Pesach). That means that seven Egyptian days after would have the Egyptian destruction occurring on the night of the eighth day of the Jewish count. Since we do not follow the Egyptian calendar we commemorate this event with the seventh day based on our count and we read the Torah portion of this event on the seventh of Pesach. The Rashi at the end of our Parsha, though, would also be accurate. The Egyptians perished on what we would call the eighth day, but the seventh Egyptian day from our Exodus. There has been a question that I have had regarding an opinion stated by the Rambam for which I think I may have finally found the answer. Before I delve into it, let me provide some background. As many are familiar with, Chazal understood that the constellation that serves as the backdrop to the sun is considered to be the mazal of the month (since we see the sun from a different part of our orbit every day, the sun appears to slowly move across the constellations behind it. The path it "takes" is known as the ecliptic). 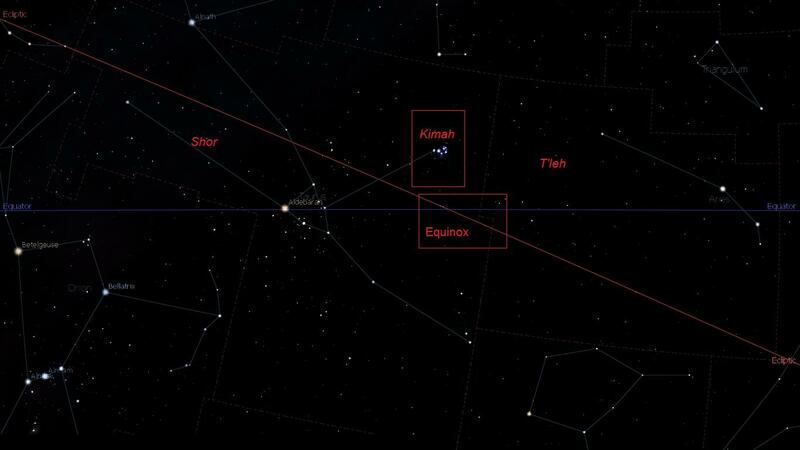 In Sivan, for example, the stars that are behind the sun are those that form the constellation Teomim, Gemini; therefore, Teomim is the mazal of Sivan. The issue that one can have with this is that, currently, this is no longer true. Over hundreds of years the stars shift, relative to us, and currently things are one constellation off. The stars that currently reside behind the sun during the month of Sivan are actually those that form the constellation Shor, Taurus. The reason for this shift is usually described by comparing the earth to a spinning top (dreidel). As a top spins it also wobbles. The earth's wobble is relatively slow; it completes one "wobble" every twenty-five thousand plus years. During the in between time, the constellations slowly "shift" and that results in the system that Chazal put forth not being recognizable to us. The Rambam notes this phenomenon in his Mishnah Torah (Yesodei HaTorah 3:7) and provides a relatively accurate rate of wobble (1 degree per approximately seventy years; interestingly enough this number is also given by the Ibn Ezra in his Sefer HaTa'amim. The Greeks felt it was more like 1/100; the Arabs refined it more in line with the number chosen by the Ibn Ezra and Rambam. It was only after Newton provided his theory of gravity that the currently accepted number of 1/72 was chosen). The Rambam mentions that the mazalos have shifted and states that the mazal of a month is not connected to the physical arrangement of stars, rather, it is connected to the time of year and, therefore, the mazal of the month of Sivan (from our example) is still Teomim. The Rambam then informs us that the time the names of the constellations were chosen was during the time of the Mabul, Great Flood. Since Chazal and the Greeks seem to agree on the names, positions and forms of the constellations, it stands to reason that they would agree upon where the exact borders between constellations can be found. The problem I had with the Rambam was the if one does the math of when the Mabul was and "moves" the stars back to their relative positions, he will find that the vernal equinox was located in the constellation of Shor (both using the 1/72 ratio agreed upon by contemporary science, and the 1/70 provided by the Rambam himself). The vernal equinox is the place where the sun is on the first day of spring. Since Nisan is the month that this should be happening in, the vernal equinox should be in T'leh, the mazal of Nisan. The Rambam was certainly capable of doing the simple math of calculating how many degrees one needs to move the constellations based on how many years had passed since the Mabul. How could the Rambam state that the constellations shift at a rate of 1/70 and in the same halacha mention that the origination of the names of the mazalos was in the time of the Mabul!?! The answer seems to be that the assumption that Chazal necessarily agreed with the Greeks as to the place of the borders is incorrect. There is a discrepancy in Rashi as to where the stars of Kimah are located, either in T'leh (Rashi R"H 11b) or in Shor (Rashi in a note at the end of R"H). The Rashash on Midrash Rabbah in last week's parsha (that's why I decided to post this now) writes that these "Rashis" are in disagreement and that this reflects a disagreement between Shas and the Midrash Rabbah. (Rashash Bamidbar Rabbah 10:8:29; also see 30 in which the Rashash refers to an alligator as an Akrav) I believe many would assume (and perhaps the Rashash himself believes) that the disagreement is that we do not know what Kimah is and there are different star patterns that are being suggested (perhaps the Hyades would be the other opinion). I, however, believe that it is possible that all agree that Kimah is the Pleiades (the conventional translation), and the disagreement is where the borders of Shor and T'leh are (and, perhaps, other borders could be disputed). If correct, Kimah was in T'leh at the time of the Mabul. It would, therefore, be logical to assume that the Rambam would be of this second opinion and then his statement makes sense perfectly (based on his calculations). I have included a recreation of these constellations and borders as they were in the time of the Mabul. The recreation reflects the currently accepted numbers and, therefore, if one were to draw a vertical line just to the right of Kimah, the equinox would still be in Shor. One must keep in mind that the Rambam had a ratio of 1/70 and not 1/72. According to his calculations, the equinox would be a few degrees more to the left and Kimah would barely be in T'leh. The Rashi that is of this opinion calls Kimah "the tail of T'leh" making this position seem accurate. How does one address the issue that there are many instances when Midrashic teachings are extremely similar to Greek mythology? There are many instances where the storyline expressed by a Midrash will be similar to a mythological legend, sometimes the two are identical (examples will be cited). This question has bothered many for centuries and many answers have been proffered. Many are comfortable with stating that the Greeks stole Jewish concepts and incorporated them into their own ideologies. The problem that some have with this approach is that the culture of the Greeks and that of Chazal seem so diametrically opposed that it seems unreasonable that one would have taken from the other. I would like to offer a theory and offer an example to support it that is pertinent to Matan Torah (and, of course, would love to hear feedback). Chazal understood that the natural forces of both science and history are encoded and symbolized by the stars. They can be deduced via knowledge of the movements of the stars (the original 4 8 constellations) and the associated symbolism between the stellar patterns and various items. (See Ibn Ezra Shemos 33:31 and Rabbeinu Bachye Bamidbar 23:9; also see Ibn Ezra's Reishis Chachma) For example, the Torah was given in the month of Sivan and the mazal of Sivan (the constellation that rose with the Sun during this month in ancient times) is Teomim, Gemini the Twins. Twins demonstrate a connection between two entities that is unmatched elsewhere. When united they display a complete state not possessed by others. The name Teomim may have its roots in the word Tam meaning complete. (See Midrash Tanchuma Haazinu 1) It was in this month that Klal Yisrael united with Hashem via the Torah. 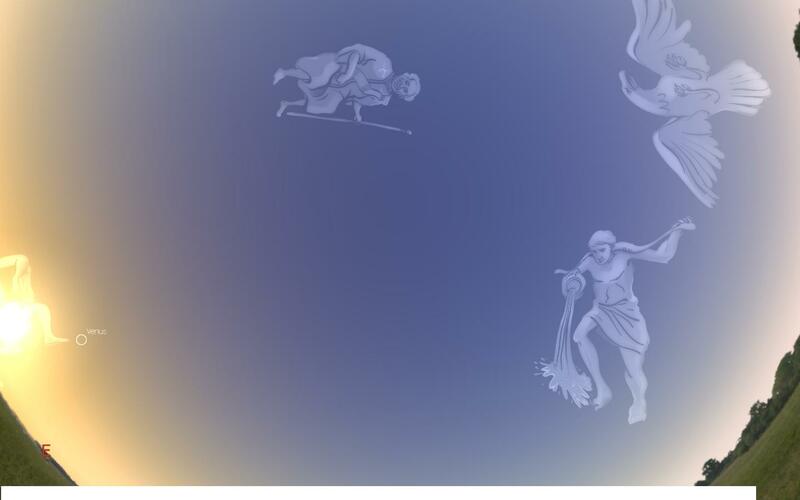 The Greek mythology is depicted in the night sky. The constellations tell over these legendary stories. One can find the constellation Perseus near Andromeda, Cetus, Cassieopeia and Cepheus. These figures play the roles in a storyline that has monsters, heros and damsels saved at the last minute in Greek mythology. 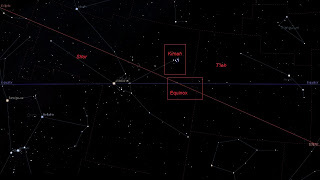 The example with Matan Torah can be seen in with the constellations, Aquarius, Aquila and Cepheus. Aquarius is a Water Pourer, but is also associated with the child of the highest god in Greek mythology. Aquarius represents the "child" of Hashem in reality as it is the mazal of Klal Yisrael. (Ibn Ezra Shemos 31:18) This child was taken by an eagle, Aquila, to rejoin his father in the spiritual realm. We are taught that Hashem took us from Egypt to be his premier nation "on the wings of eagles." 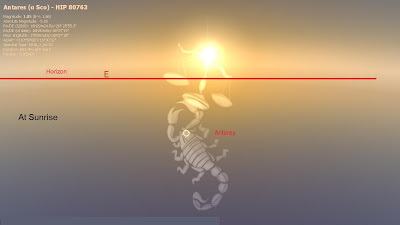 (Shemos 19:4-5) In the month of Sivan when Gemini would be rising with the Sun, Aquarius would be setting in the west. At this time, Cepheus, a constellation that represents a king, is seen at the height of the sky sitting in his throne. 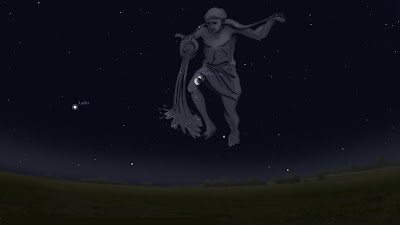 The "son" Aqaurius is standing on the ground in the west, but immediately next to him is the eagle, Aquila, to take him to his king, Cepheus. It seems pretty clear that the Greeks were (wether knowingly or not) expressing Matan Torah in their legend. There are many other examples like this (like the story of Procrustes), but unfortunately this post cannot go for forever. Before I get into this post, let me first give a very basic overview as to what a constellation is. If one looks toward the sky he will be able to see hundreds, if not thousands, of stars (unless it is cloudy, daytime or he lives close to a city with lots of lights and pollution). It would be virtually impossible to discuss the different regions of the sky if they were not divided into smaller units. Throughout history, humankind has recognized different areas of the sky as being distinct sections. Each defined grouping of stars was pictured as an object (i.e. a lion, bull, etc.) and these formations (like connect the dots) are constellations. It is similar to looking at a map of the U.S. and then subdividing it into fifty states. In the times of the Greeks there were forty-eight constellations, and the Ibn Ezra contends that Chazal agree with both this number and the actual division. These were considered to be Divinely created and to exert influence on life on this planet. As time continued, people decided that they needed to subdivide the sky into more regions (without any Divine intervention) otherwise it would be too difficult to converse with one another. The new divisions, which became standardized, provide a framework for both scientists and laymen to discuss the sky with relative ease. These constellations were generally created by astronomers interested in contemporary science and not astrologers who were interested in the influences of these regions. As such, the names of these often reflect more scientific objects such as Microscopium, etc. Currently, there are eighty-eight recognized constellations. Now, let's talk about unicorns. There is a constellation called Monoceros. Monoceros is Greek for unicorn (mono = one and ceros = horn; interestingly, often times if you exchange the "c" in a Greek word for a "k" you get the Hebrew word, for example, Okaynus, and Oceanis for the word for Oceans. In this instance you get keresh) and that is what this constellation depicts. There is a discrepancy as to when this constellation was "created", but it seems that it was in the sixteenth or seventeenth century. It appears that Plancius is the first confirmed source for it and Bartsch(ius) definitely included it in his later work. A notable point is that there is discussion as to whether the, slightly earlier and very reputable historian, Joseph Scaliger allegedly claimed to have seen this constellation in a much earlier ancient Persian source. If so, that would, perhaps, place it as far back as the time of Chazal. If the Persians' unicorn was similar to that of the ones mentioned by Chazal, then this information could be used to ascertain this beast's identity. About a year ago I made, what I feel, is a big discovery. I was learning the Ibn Ezra's Reishis Chachma for my upcoming sefer (sorry, I had to put in another shameless plug). When the Ibn Ezra delineates the constellations he only mentions the standard forty-eight of Chazal. However, he constantly refers to other segments and star patterns in the sky. This would be comparable to looking at the map of the U.S. and, in addition to the states (our constellations), we could also see some counties and regions. These are currently referred to as asterisms (i.e. the Big Dipper which is a segment of the constellation Ursa Major). When discussing Gemini, the constellation associated with the upcoming month of Sivan, the Ibn Ezra discusses some nearby asterisms. One of them is, you guessed it, Monoceros!!! At first I was completely amazed. It seemed that I had historical proof that this "constellation" did, in fact, predate (since the Ibn Ezra lived hundreds of years before) and that Scaliger's claim may have validity. Not only that, but the Ibn Ezra also refers to all the objects mentioned in his work as having influence on the planet, a suggestion implying that these are Divinely created asterisms. Since the only Reishis Chachma that I was able to get was a translation I set out to find a copy of the original Hebrew (something I had wanted to do anyway). I finally located a copy published in 1939 that contained the original Hebrew as well as a French and English translation. The Hebrew reads "חיה בעלת קרן" which does sound like unicorn, but, I must concede, is not definitive anymore since one could argue that it just means a horned animal. I do find it very unlikely to be something other than the unicorn, though, because what is the likelihood of that happening in the exact location of the modern Monoceros which Scaliger claims predates its "modern creation". Based on Scaliger's testimony and the above proof, it seems that Plancius and Bartsch were aware of the older asterism and decided to include it into the sky as a constellation (by the way, there is no reason to suspect that they intended to present this as their own creation, rather, it is very possible that they just intended to upgrade an asterism of ancient to the status of constellation in order to divide the sky into smaller parts). Scaliger's alleged sighting in the Persian source would have included a picture of the animal (it was common to draw the stars with fancy artistic representations of their associated items behind them) and it stands to reason that Plancius was aware of this information. Therefore, they would have known the Persian unicorn's true identity, which would probably be identical to the Ibn Ezra's. There has been speculation as to the possibility of the unicorn being a giraffe. The giraffe has two horns on the top of its head, but another bump in the middle of its head. If it is the unicorn, then, what Chazal meant when they said an animal with one horn between its eyes was that in addition to two regular horns it had a third in between its eyes. The translation as unicorn would, then, be in error. If the giraffe is the only species of unicorn mentioned then, perhaps, the above stellar discoveries put a little doubt on this assertion (in addition to the asterism/constellation being called Monoceros as opposed to Triceros). There is another constellation created by Plancius and charted by Bartsch, Camelopardalis. In case you haven't figured it out, camelopardalis means giraffe in Latin (originating from the Greek) and Plancius was dedicating this region of the sky to this animal (once again, camel = gamal, o = u and pardalis = bardalis, a spotted cat like an ocelot; this would show the Hebrew equivalent of a mix between a camel and bardalis, a giraffe does look something like a mix of the two). The fact that there was another constellation created by the same people indicates that the two cannot be one and the same. The depiction that is in use, stemming from Plancius and Bartsch, is a horselike creature with a horn on its head. As I was continuing to review this week's parsha, Emor, I had a theory to explain something that has bothered me for awhile. At the end of the parsha we are taught of the convert whose mother was from Dan and father from Egypt. (see Mizrachi and Gur Aryeh as to why he is considered a convert) This individual was blasphemous and put to death for his actions. Rashi teaches that he initially went out with one of two complaints. He found it preposterous that the Showbread in the Mishkan was placed on the Shulchan for nine days prior to being eaten. He also felt that his tent should be able to be placed in the camp of Dan since his mother was from Dan. When he was informed that he was wrong he blasphemed. When Korach argued that a talis that is completely sky blue should not need tzitzis, we find that the commentaries give a metaphoric explanation for his choice of argument. What could the convert in our parsha have been insinuating with his remarks about the Showbread? In the Mishkan there were two vessels that were placed across from each other, the Menorah and the Shulchan (both mentioned in the portion prior to the blasphemer). The Rema, in his Toras HaOlah, cites earlier sources that contend that the Menorah symbolized the concept of the seven planetary influences. 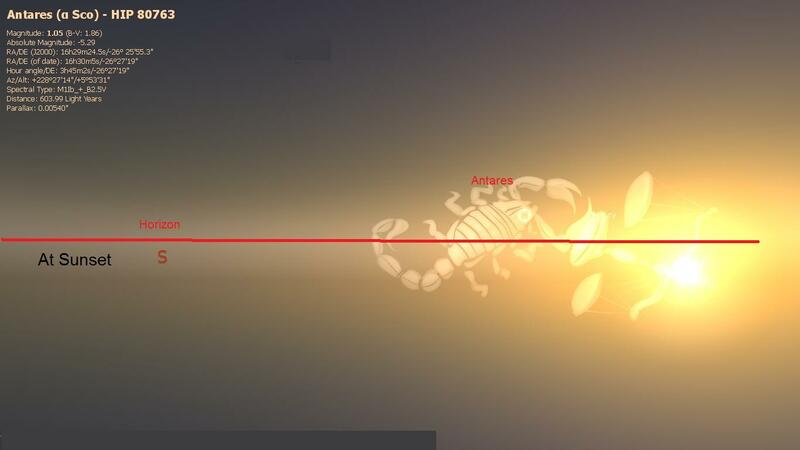 There are seven "planets" that are visible to the naked eye: the sun, moon, Mercury, Venus, Mars, Jupiter and Saturn. Depending on which constellation they are residing in, these planets exert influence on earth. The Menorah had seven branches, each lit for the purposes of shining light. The seven influences are thus shown to shine forth their power. The Shulchan, however, had twelve pieces of Showbread placed on it. There is another system of astrology in which the twelve constellations of the zodiac are seen to exert their influence. Unlike the planets, though the constellations are still relative to another. The planets, on the other hand, wander from one constellation to the next; each going at its own pace. As we have mentioned in the past, Rav Yeshonasan Eibshitz contends that the system of twelve constellations is more pertinent to the Jews and the system of seven to the other nations of the world. This seems to be echoed by the fact that numerous sources compare the twelve tribes of Yisrael to the twelve constellations. Perhaps, what this blasphemer intended was of a philosophical nature. He was wondering why Klal Yisrael can camp so proudly with their banners, yet, the newcomers who chose this way of life are not allowed into the camp permanently. They may trade and walk through, but they may not pitch their tent. These holy individuals have have wandered around and had chose to join Hashem's nation should be allowed equal expression. He was asking why the Showbread should contain "stale" bread, the bread that has been there for days and not a fresh piece, one that was just made. The Showbread shows the twelve stagnant elements and also the twelve tribes. These are the ones that have not wandered and their permanence is expressed as an encampment. (the twelve constellations are considered to camp in exactly the same formation as the camping of the tribes see Midrash HaGAdol Bamidbar 2) While those that have wandered into these "constellations", the planets (or converts) have influence and are very holy, they are not the same as the originals. Their influence can shine as they wander into and fuse with the constellations, but they are not part of the "kahal" itself. They are not able to pitch a tent of permanence. Those who come and join exert influence and are placed in the Mishkan, but the Showbread is not its place. The Showbread keeps its bread for a duration of time, it does not continuously change and show wandering. With this concept, one can appreciate the mesiras nefesh that a convert takes. He knowingly joins a nation in order to serve Hashem even though he recognizes he will feel like an outsider. He cannot have permanence (he is also not given land in Eretz Yisrael), yet, he sacrifices it all for his determination to esrve Hashem. Perhaps, this is why his vessel produces light. We can see and recognize and learn from this individual what fiery passion is truly necessary! (I apologize if this was somewhat unclear, it was typed in a hurry). I happened to see an interesting explanation from Rav Yehonasan Eibshitz that was so similar to last week's post that I could not help but post it for this week. The Haftarah for this week's parsha, Parshas Emor, comes from Yechezkel (44). In it the Navi describes what the service in the Beis HaMikdash will be like in the future. There are many discrepencies between this description and the service as described in Chumash and the Gemara tells us that for this Sefer Yechezkel was almost left out of Tanach. (Shabbos 13b) Finally Chananya ben Chizkiyah reconciled the discrepencies and it was allowed. Interestingly, many commentaries still discuss the literal translations of the words and do not address the above mentioned issue. Rav Eibshitz seems to take this path and, therefore, provides insight into one of these perplexing verses. Yechezkel tells us that the Kohanim will wear linen garments when serving in the inner sanctum and will not have any wool on them. (Yechezkel 44:17) This is in stark contrast with the description of their clothing as described in the Chumash. There we are taught that their clothing contained both linen and wool, a combination prohibited for others to wear and referred to as Shaatnez. Rav Eibshitz explains that linen is often times referred to as שש which is also the word for "six". In addition it is referred to as בד, a word whose numerical value is six. (see chapter 13 of my Tiferes Aryeh for more on this numerical value and how it seems to be a "hava ameinah" of the Gemara) Mystically it is a garment that brings together (in a cleansing way) the natural forces of six of the seven planets (the ancients recognized all items that moved independent of the regular stars to be planets. As such they talked of seven planets; the sun, moon, Mercury, Venus, Mars, Jupiter and Saturn. The others are not visible to the naked eye and are, therefore, not discussed). The only planet it does not contain is that of Mars. 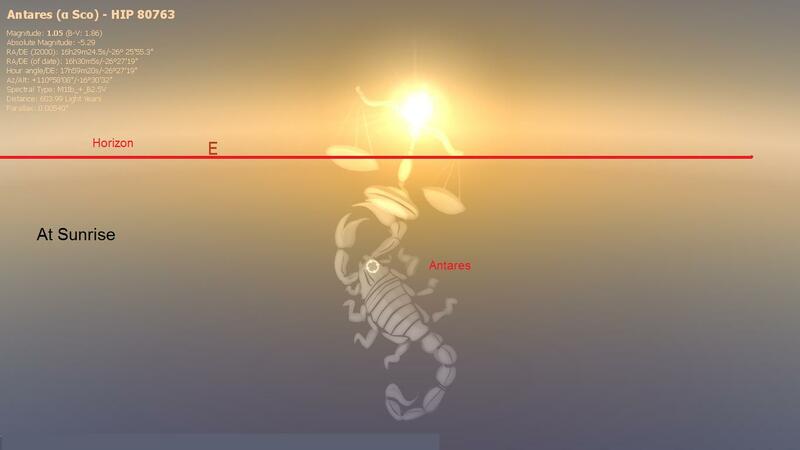 Mars connotes judgement and harshness (see last week's post) and has no place in the future worship of Hashem. (Rav Eibshitz points out that shrouds are of linen since Hashem will save the dead from judgement). In the past the Kohanim wore wool in their clothing because we had to contend with the evil forces and even "bribe" them to do the proper service of Hashem (see last week's post). In the future, however, things will be more perfect and we will no longer have wool in the clothing of the Kohanim. The Ramban and Rabbeinu Bachye reveal to the public what the Ibn Ezra considered to be a mystical secret. They state that the goat taken to Azazel as part of the Yom Kippur service is actually a symbolic show of bribing the Satan. The Satan is the evil inclination that resides in all of us and on Yom Kippur we rise above it and act like angels. As such, Hashem prescribed an offering that, on the surface level, appears to be a pacification of the Satan. This, then, enables us to completely serve Hashem without his interference. Obviously, we are not really worshipping Satan, as that would be idolatrous, this is a commandment from Hashem and is serving Hashem, but its symbolism is something to be taken to heart. The planets and stars are considered to be the place where the spiritual realm of heaven and the physical realm of earth meet. As such, all events determined by heaven are considered to flow down upon us through the stars and planets. The Ramban and Rabbeinu Bachye contend that Mars, מאדים, is considered to be the force of the Satan (and demons) and connotes evil, death and destruction. The desolate wilderness is considered to be under his rule and it is there that this goat is taken. All animal life is considered to be influenced by the celestial objects and goats are considered to be under the rule of Mars, as well. (see Ibn Ezra Reishis Chachma for more detail of this concept) It happens to be fascinating that the other ancient civilizations also perceived Mars as a cruel and deadly influence. Usually it has been associated with death and war. (See Ptolemy's Tetrabiblos) The Parah Adumah, red heifer, is also a display of this, says the Ramban, but that is not the discussion of this post. Rabbeinu Bachye furthers that the numerical value of מאדים is identical to that of המלך, "the king". It is our evil physical inclinations, ruled by the Satan, that, unfortunately, seem to govern and run our lives. The Satan, therefore, appears to be the king of this world. I find it fascinating that our prayers from Rosh Hashana through Yom Kippur (the time being discussed) focus on calling Hashem "our King". We change a blessing in our Shemonah Esrei from calling Hashem a holy God to calling Him a holy King. The chazzan starts the Yom Tov prayer with the word המלך, that same word that normally equals Mars, but in this context we make clear that it is Hashem who is the real king. In another piyut we contrast the Heavenly King with the destitude king, usually considered to be man, but, perhaps, truly referring to the Satan. It would seem that these days, at the beginning of our year, are supposed to state emphatically, that although it normally seems that the king is Mars, we are proclaiming that Hashem is truly the king!!! The names of the Hebrew months that we currently use are not biblical or even Hebrew! In fact, the Yerushalmi (Rosh Hashana 1:2) states that these were the secular names used by the Babylonians and we took them with us when we returned to Eretz Yisrael after this first exile. Many years ago archaeologists uncovered an ancient stone in the ancient city of Nineveh that confirmed this fact. The question that arises is that if these are secular names, why is it that we find sources that "darshan" them. For example, a Midrash teaches that the month beginning this evening, Iyar, is called אייר from the root אור meaning light. It was in this month, contends the Midrash, that Bnai Yisrael received the manna with "shining countenance" and it was also then that Hashem shined his glory for them with the clouds of glory that escorted them in the Wilderness. (see Torah Sheleimah Miluim Parshas Bo pp. 177-178) It seems odd that the ancient Babylonians would care to call their months by names that exalt the Jewish nation. Some, like the Bnai Yisaschar (Nisan Maamar 1), contend that Aramaic is a holy tongue and we know that the Torah was given in "Targum" in addition to its Hebrew version. Ancient Targum, literally translation, is in Aramaic. As such, these names are inherently part of the language and reflect the true nature of the word (in this case month). Interestingly, the people who use it, presumably, do not know the true origin of their native tongue. While not an outright question on this approach, it seems odd that some of these names are also names of Babylonian gods. In fact, the Midrash mentions that Tammuz is referred to as Tammuz because that is the name of a pagan god (this has been confirmed historically with a Babylonian god) and the Jews practiced idolatry in this month when they made the Golden Calf. It seems peculiar that the name of a pagan god should have been the inherent nature and name of a month. Regardless of what the origins of these names of the months are, it is clear that all agree that they did not start off being Jewish. How fascinating it is to note that here we have our culture that took a part of another culture and thousands of years later the originators are gone and the only ones preserving the Babylonian tradition are the Jews!!! Hashem's countenance shone upon us in Iyar that protected and sustained us throughout the harshness of our exile in the Wilderness and, apparently has never ceased. It has protected us throughout the rest of our exiles. Those who have persecuted us have fallen to the wayside and ironically the only remnant left is through their oppressed nation that has far outlasted them!!! The climactic moment of the Ten Plagues was the final one, the killing of the firstborns at midnight. Last year I posted about the star Sirius' connection to this event. This year I would like to add one more point to that post. An entire lunar cycle (from our perspective) takes approximately 29 days, 12 hours, 44 minutes and 3 1/3 seconds. Since this tenth plague occurred on the 15th of the lunar month, that means that the moon was full. Many notice that the moon is sometimes visible in the daytime and at other times at night. The basic overview of its rise and set times is that in the beginning of the lunar month it is visible in the afternoon and sets just after sunset. Every subsequent day it appears a little later in the day and sets a little later in the evening. In the middle of the month it rises at sunset and sets at sunrise and it then begins to rise after sunset and set in the morning until the cycle begins again. When putting all this together, one can see that at midnight,the moment of the plague, the moon was full and at its peak. The sun, on the other, has its peak at midday and is at its lowest at midnight. The other nations of the world are compared to the sun (see Maharsha Yoma 20) and Klal Yisrael to the moon (see Midrash Tehillim 22). This was finally the moment when Klal Yisrael was shining and at its peak and their oppressors were at their lowest. Most people are familiar with the fact that this Shabbos is referred to as Shabbos HaGadol. The common reason given for this title is that on the Shabbos prior to the first Pesach, the Exodus, Klal Yisrael took sheep, an Egyptian god, to be their Pesachim and the Egyptians did not harm them. This miraculous event is recognized by commemorating the Shabbos prior to Pesach as Shabbos HaGadol. (see Shulchan Aruch O.C. 430 and Mishna Berurah) The problem is that this does not seem to work out historically. Seder Olam, a Baraisa written by Rebbi Yose the Tanna and cited throughout Shas, mentions that the fifteenth of Nisan in the year of the Exodus was a Friday. If so, then the tenth of Nisan, the day Klal Yisrael took their sheep, would have to be a Sunday. Shouldn't we then be celebrating Sunday HaGadol, then, instead of Shabbos HaGadol (or at least discard this reason to call this Shabbos "Shabbos HaGadol")? The question that one should ask now is, "Why did Rebbi Yose use the Rabbanan's date in his book, Seder Olam?" In fact, the Gemara in Shabbos quotes this Seder Olam by name and contends that Rebbi Yose does not see it as problematic to his personal opinion because he maintains that it reflects the Rabbanan's opinion. While we do find Rebbi Yose using other opinions in his Seder Olam (see Niddah 46b), they usually are halchically oriented and not focussed on the historical record. Since Seder Olam is focussed on history, I would have thought that all historical citations are his opinion, it is only the halachic matter that is brought in tangentially that we assume is not his own opinion. However, now, this is impossible to state as here it is the historical record that is the focus and the halacha that is tangential (Seder Olam does not even reference the halacha, it is only found in Shabbos). Rather, it is clear that he quotes other Tannaim's opinions even when presenting the history. To show how this is much more dramatic than just a difference of one day (Sunday vs. Shabbos), consider the following. Assuming the records are accurate, then, the Rosh Chodesh dates would have to work out with actual visibility of the moon (using the first new moon after the vernal, spring, equinox). When looking back historically, the Rabbanan's 15 Nisan on a Friday, which produces a Friday Rosh Chodesh, works out for the year that Seder Olam places the Exodus 1311 B.C.E. (there appears to be another opinion of Rebbi Yehoshua that would maintain it was in 1312 B.C.E. and on a Tuesday, but that is beyond the scope of this post). Since Rebbi Yose's Rosh Chodesh does not work out with this year he must be of the opinion that the Exodus was in a different year (the lunar visibilty of the new moon just prior to the equinox also does not work out for him). There are only two years that could reasonably fit with a Thursday Rosh Chodesh (and still keep with the Torah's chronology; albeit not with Seder Olam's chronology) and they are 1320 B.C.E. and 1324 B.C.E. Based on other Midrashic sources (Bereishis Rabbah 6 and the Yotzer for Prashas HaChodesh), the 1320 B.C.E. date is more likely although this is beyond the scope of this post. This would mean that Rebbi Yose has a totally different record of history (not just a difference of one day) than the one presented by the work he authored on history!!! It is fascinating to see that he felt the need to create an entire work to preserve the history that reflects an opinion that is not his own!!! It also would mean that the convention of referring to the current year 5770 is really larger than the true number as it is based on Seder Olam which is 9 or 13 years longer than Rebbi Yose's number (assuming we use this as our reason for calling it Shabbos HaGadol)!! !